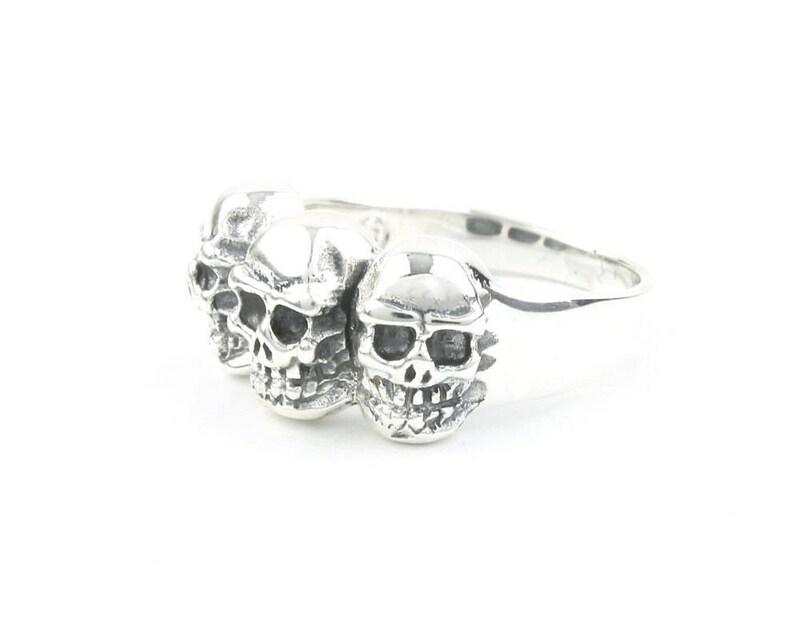 Sterling silver ring with three skulls making up the face of the ring. Light patina finish accentuates the intricate detail of the piece. 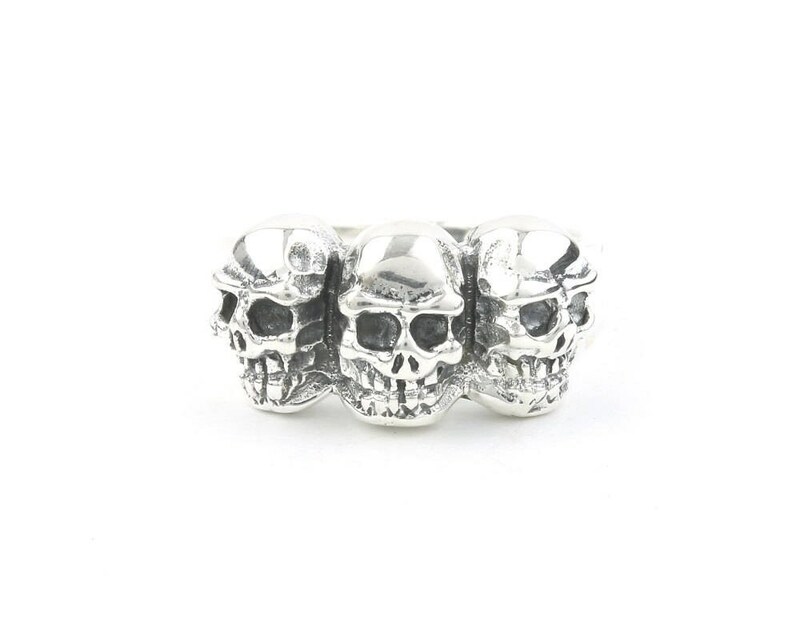 Material is solid sterling silver, Stamped 925.